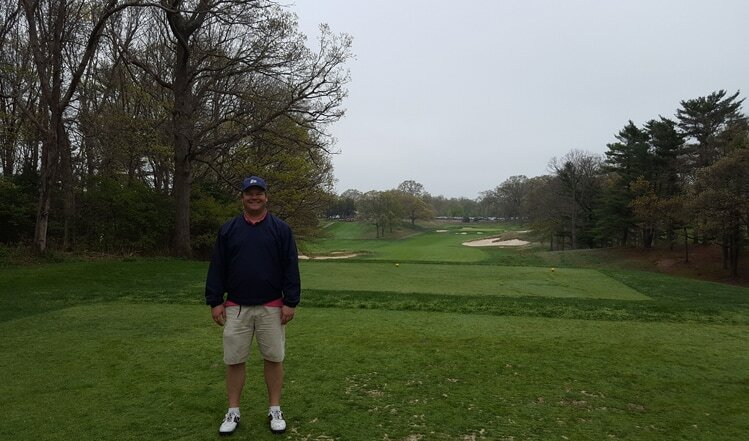 Bethpage Red Hole 1: If one wanted to ease into a golf round, this is not the golf course for that. The first hole is a very long and demanding par four. Although the tee shot is elevated, the second shot goes way back up hill. At over 450 yards for both tee boxes, this means most likely, at best, a long iron will be needed on the approach. 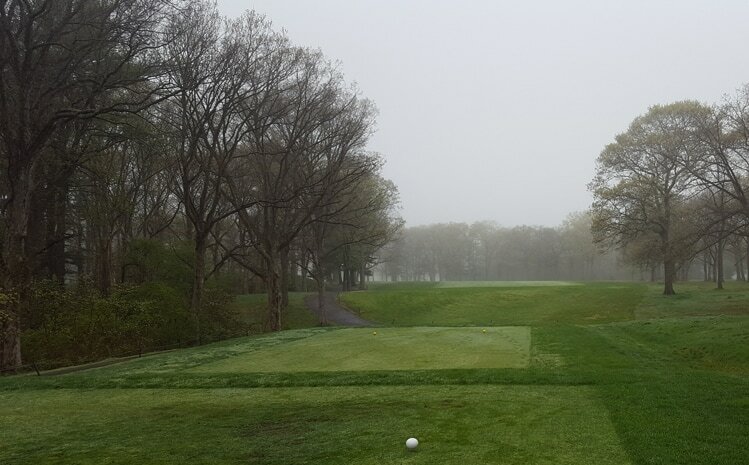 Bethpage Red Hole 2: This dogleg left par four requires an accurate drive to leave a straight shot at the green. There is a bunker to the left of the putting surface, which is otherwise, fairly straight forward. Bethpage Red Hole 4: This par three is over a valley to a round green fronted by a very deep bunker. Missing that bunker is paramount, but going left or long are not great options either. 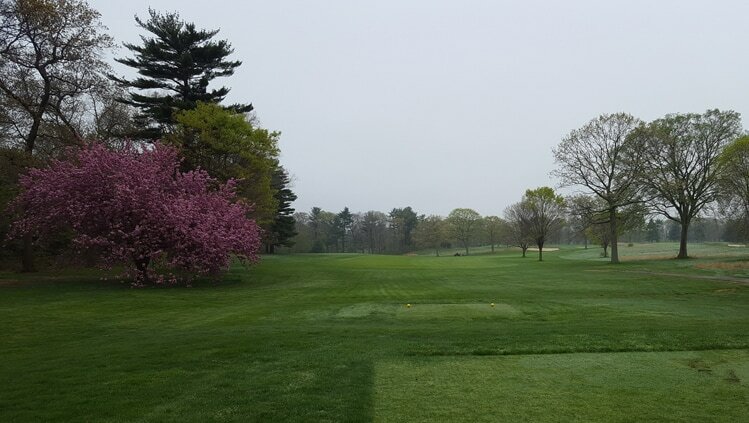 Bethpage Red Hole 6: Another dogleg left, this one is shorter and more severe. The player can opt to clear the trees at the dogleg or go right of them, but must hit the ball far enough or stay right enough to leave an open shot to the green, which has strong undulations and bunkers to the left. Bethpage Red Hole 9: The front nine ends as it began, with a long, nasty par four. This one requires a drive over the bunkers at the corner of the treeless dogleg tee shot if any mid iron or shorter is to be used for the approach. The green is framed by a large bunker and a mound of sorts front left leaving all sorts of unusual bounces for shots that hit close to there, which is a lot, given the very long nature of the hole. There are two more bunkers, one on each side of the green, in addition. Bethpage Red Hole 13: The drive on this par four needs to avoid the massive series of bunkers in the middle of the fairway; the left fairway is tighter but provides a better angle to the green, as shots from the wider right fairway will leave a shot over a deep bunker, to a more shallow angle of the green, with more bunkers behind. 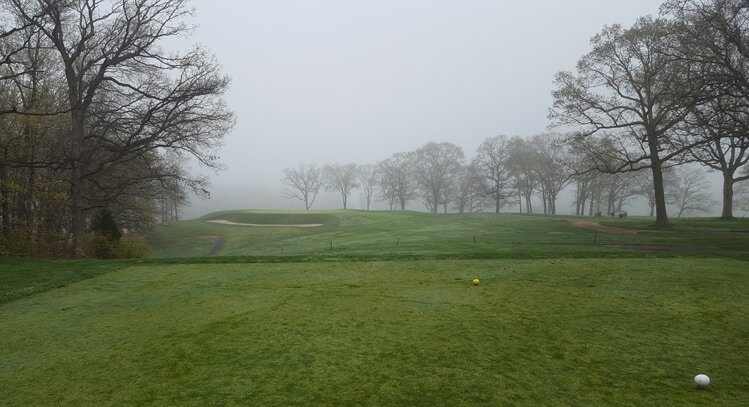 Bethpage Red Hole 15: This is yet another long dogleg par four, this one to the right. There are large trees to be avoided to leave a decent shot at the uphill green complex with bunkers long and right. 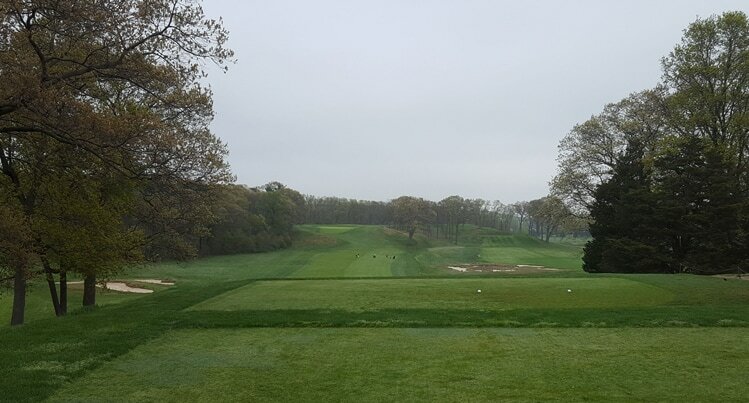 Bethpage Red Hole 18: The last hole is yet another tough par four over 400 yards This one has an elevate tee shot and, yet again, an elevated green. There are bunkers on both sides of the fairway and all sides of the green, with a tier to boot, making a finishing par quite an accomplishment.